Writing a business plan is a challenging experience for many entrepreneurs. Even if they have a great idea, they fail to start the business or get funding – mainly because, to put it nicely, their business plan just plain sucked. Writing a business plan shouldn’t be a daunting experience, it should be an exciting document where you put together all of the information and plans you have for your business. It should be the blueprint for your business success and quite. Your business plans its potentially a life-changing document which takes you from a boring job of living your dreams. 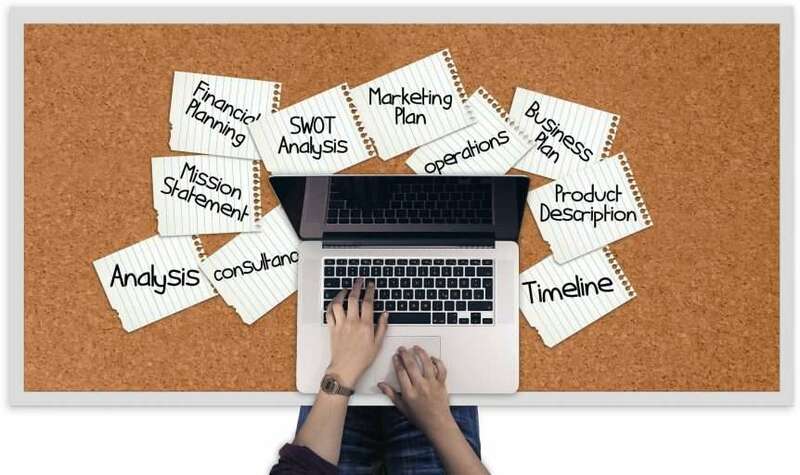 In this blog, I am going to tell you how to write a business plan to get investment or funding for your business, or just simply to startup faster. The Executive Summary: This should summarise the best parts of your business plan. Write this last. This should cover the strategy of your business, products and service, company structure and ownership, intellectual property and how you do business. Marketing Plan: Should explain how you will get your product noticed by your target market. Sales Plan: Should explain how you will convert the interest in your business into sales. Operational Plan: Include a brief explanation of what you need to run your business and how it will operate day to day. Financial Plan: Include your sales projections, be ambitious but sensible. Remember it is just as important to explain the logic behind the numbers. Your projections should correlate with your marketing and sales plan. Cash flow – Cash is King. Cash flow statement is a projection of your bank balance. This should have all the costs and income in your P&L along with any other expenditure. You need to ensure your business has enough money to survive. Even a profitable company may have a cash flow problem. Break Even Analysis – This is a chart that explains how many units you need to sell to make money. Conclusion: Wrap up your business plan by mentioning what your exit strategy from the business. You do not have to leave the business but investors need to know how they will get their money back. Mention the projected value of the business and the types of companies that would buy it. The reason many entrepreneurs struggle with their business plan is that they don’t understand their business. The business plan should be the final thing you do; you should have great in-depth knowledge of the product or service, target market and the whole industry you are involved in then a business plan becomes a natural and straightforward /process. Instead of just selling your items, question your customers. Find out what they like about your product, what features they would like to see. Use this information to build a customer-centric product that provides value to your target market. What you need to know is the market, your potential customer and how it relates to them. Professional investors and funders are Angels, Equity Crowdfunders, VP banks and other institutions that issue business loans. Their business model depends on investing or loaning you money to generate profits for themselves. They want to give you money, their business survival depends on it. The more money you want from them the more they will scrutinise your business. Investors are usually business people; they want to make money. Before they put their money in your hands, they need to be sure they can make a return on their investment. Your business plan needs to be ambitious and show a clear plan of how the business will grow and repay the investor with a good return on their investment. Banks want to know they will get their money back with interest. You can be less ambitious with bank business plans but you need to show good financial responsibility and demonstrate in your cash flow you can afford the monthly repayments. Reward crowd funders decide based on the product whether they want or need it. They are consumers prepared to wait for the product they are buying to be made. Interest groups are individuals who invest or loan you money due to a specific interest which is not based on the viability of the business. Friends and family invest or loan money because of their interest and trust in the founder, not the business. Other community groups will provide you with grants, investment or loans based on demographics of the sector. Consumers and interest groups investment decisions are based on emotions and/or logic rather than business viability. Make sure you know what is important to the individual investor when you write the business plan and write about it in depth. The more you ask for, the higher the risk for the investor/funder. This means they will spend more time scrutinising your business plan. 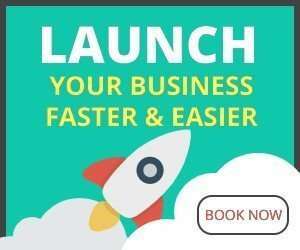 If you know exactly how much money you require to start-up the business and survive for the first few months will improve your chances of success. You also need to back up your estimates with quotes and/or price-lists. Simplify the idea until it’s manageable as an early stage venture. Prove your business model on a shoestring budget. Show your worth before seeking investment. If your concept is successful, your chances of raising capital from investors will dramatically improve. Your business plan is not a narrative explaining everything about yourself and your business. It’s an analytical document intended to highlight the business’s viability and to get people interested enough in the business to invest or fund you. Does the business have the products or services to capture this market? Does the business have the expertise and/or the people to make it happen? Make it a priority you answer sufficiently each of these questions. Strip out any non-essential information. Your message must be clear to give the person reading your plan a fair chance of assessing it. Don’t over complicate the writing of your business plan. Before starting think of what type of funding you are aiming for and tailor it to that audience. If you are seeking funding from a variety of sources, you may need more than one version of your plan. The person (s) reading your plan have their motives, make sure you give them the information they need to decide. 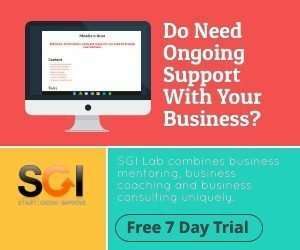 You can get all of these templates in our 7 Day Trial of SGI Lab. We also have a number of business planning services available.